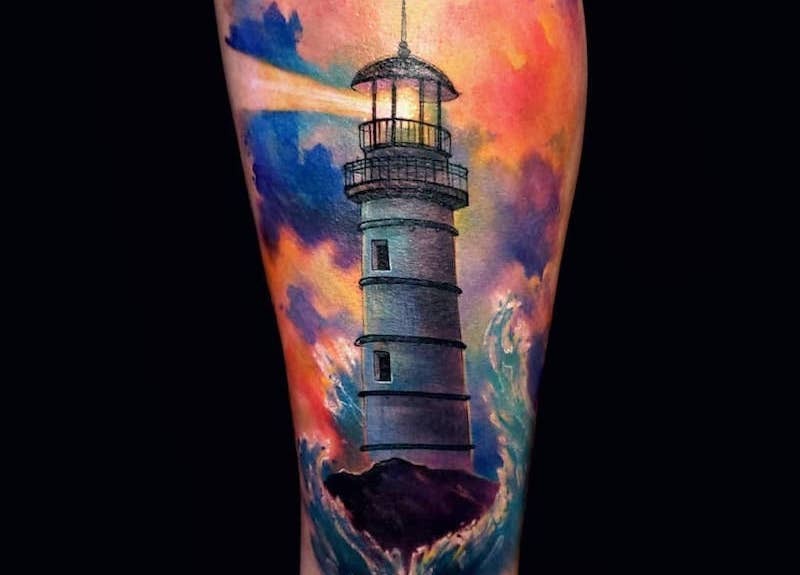 Lighthouses have been guiding ships to safety for thousands of years, the first known one built was the Pharos of Alexandria, Egypt in 280BC and before lighthouses were even around there was still a form of lighthouse in a very primitive way, fires were lit on hilltops by the sea to guide ships, these fires were built on platforms to raise the fire and become more visible from the ships out at sea, over time these platforms got higher and eventually becoming something we, even now would recognize as a lighthouse. 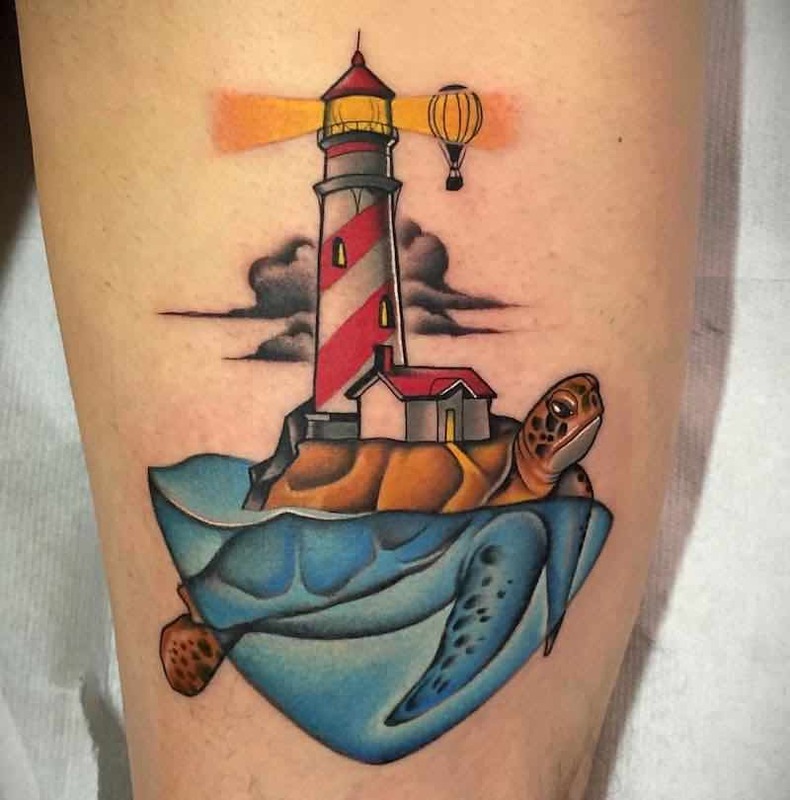 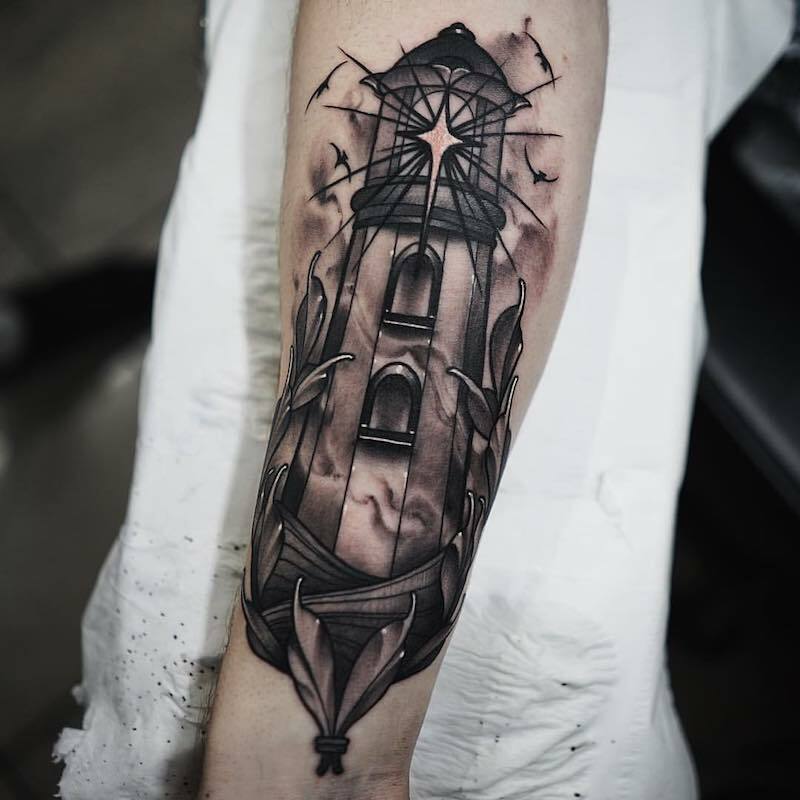 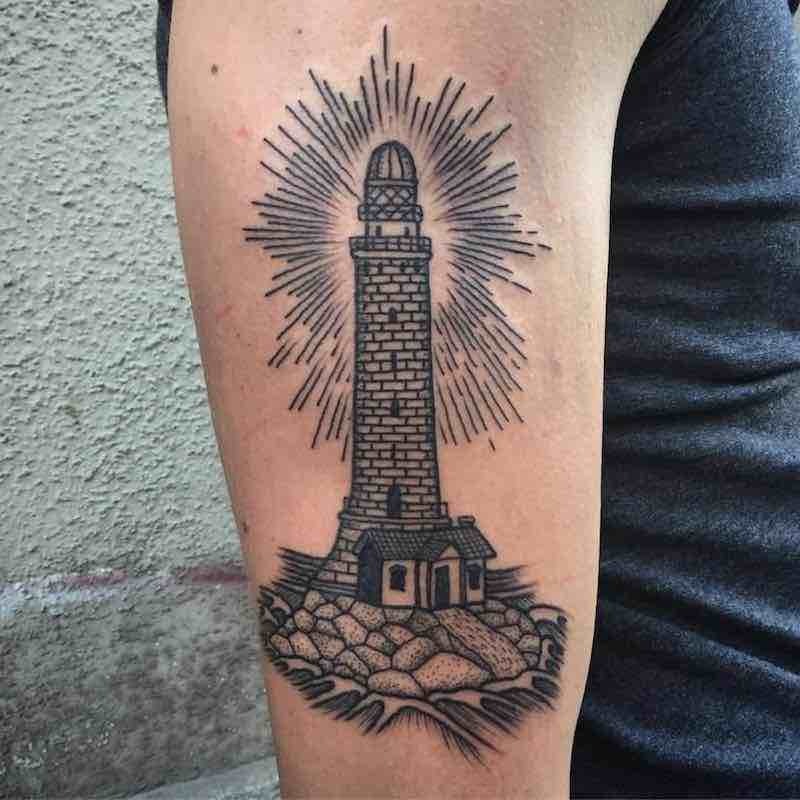 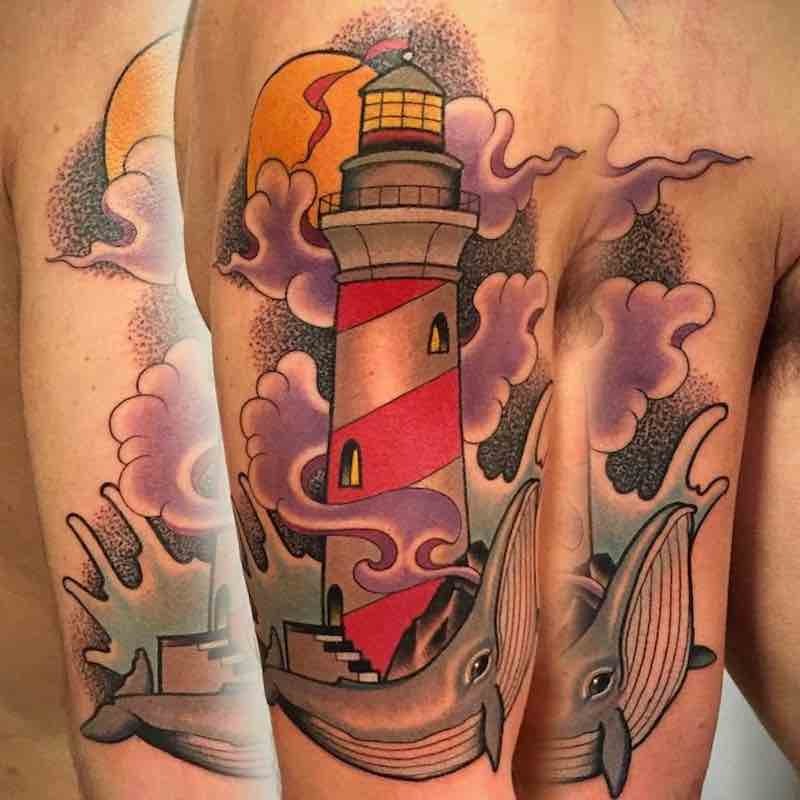 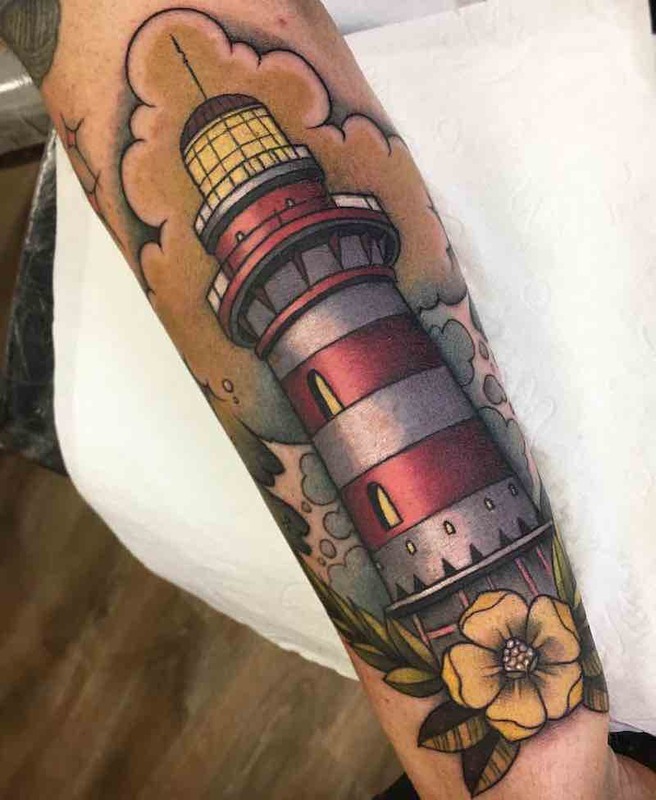 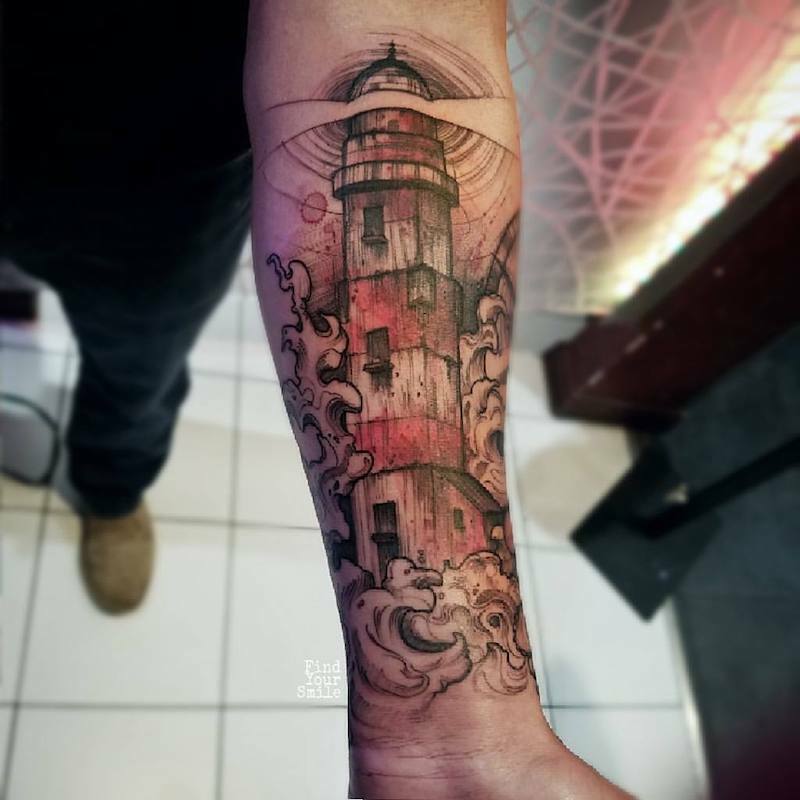 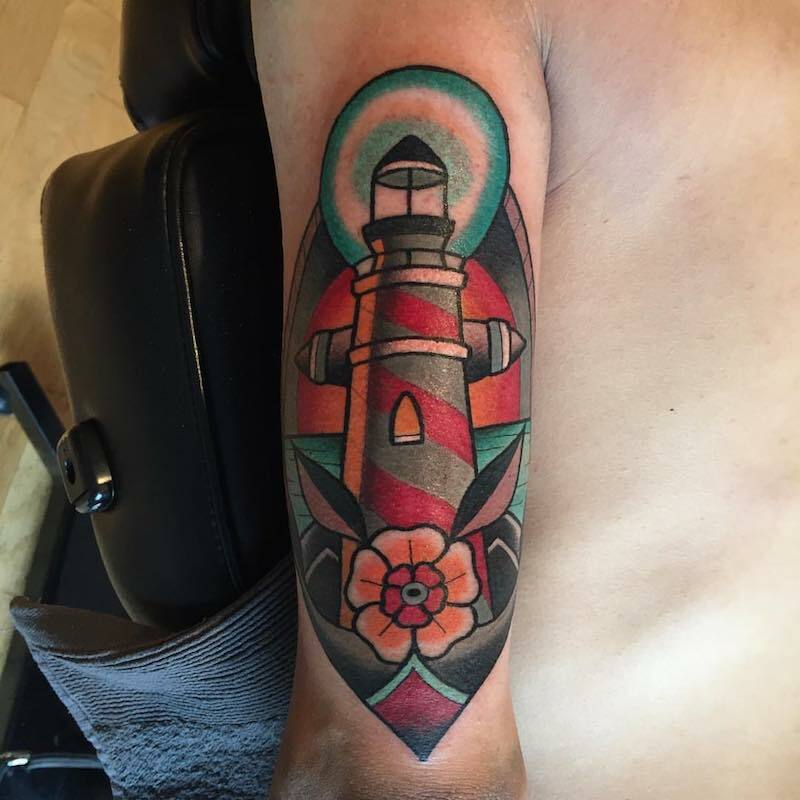 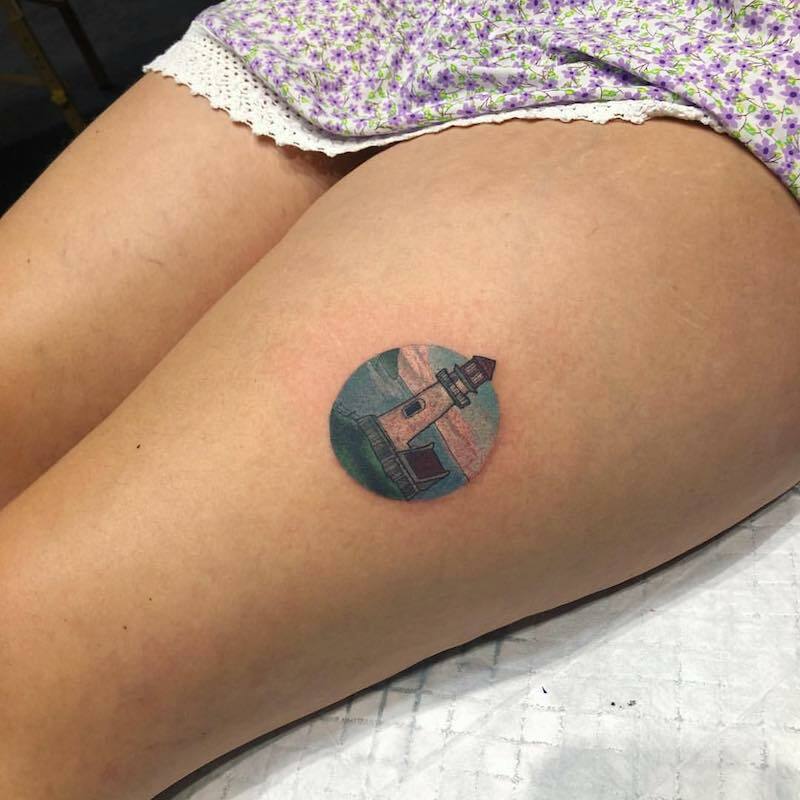 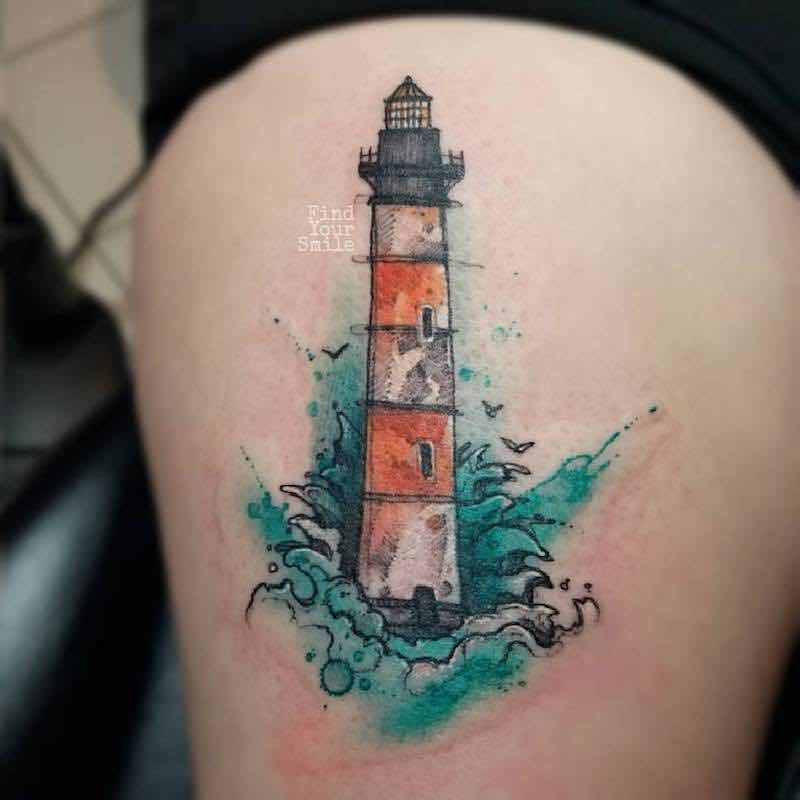 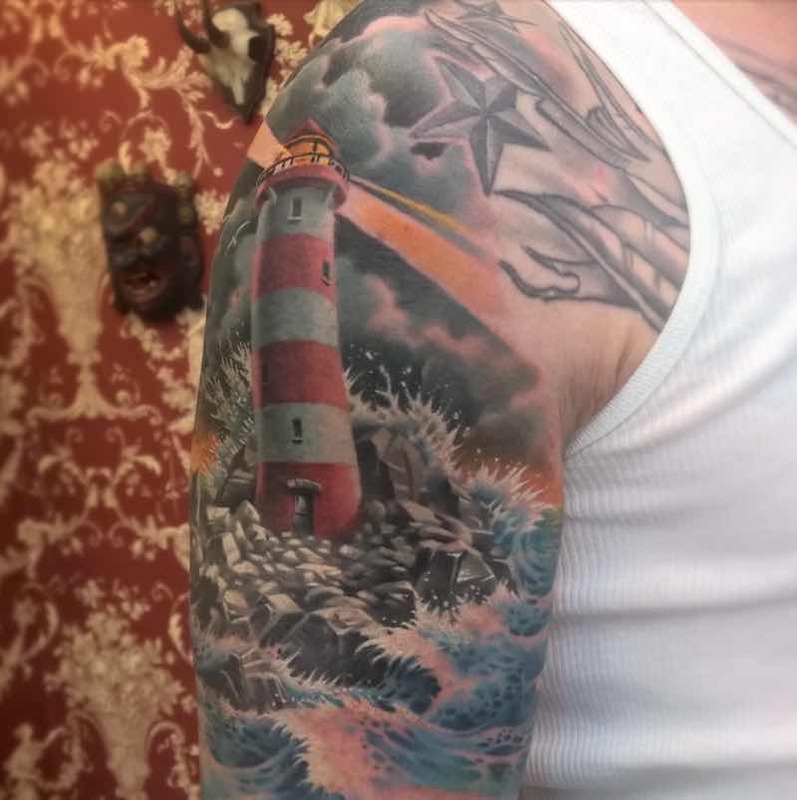 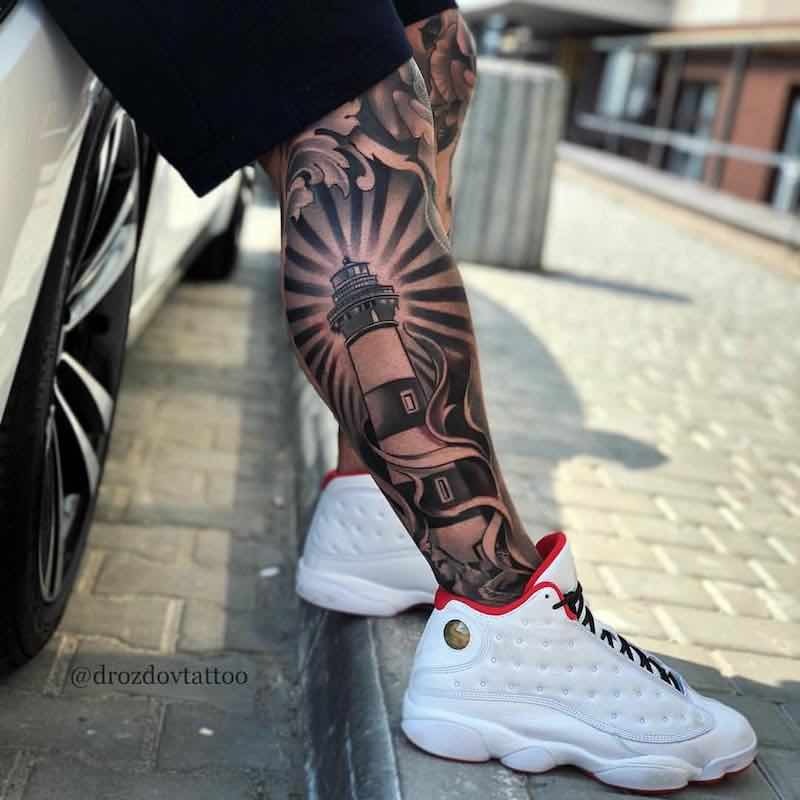 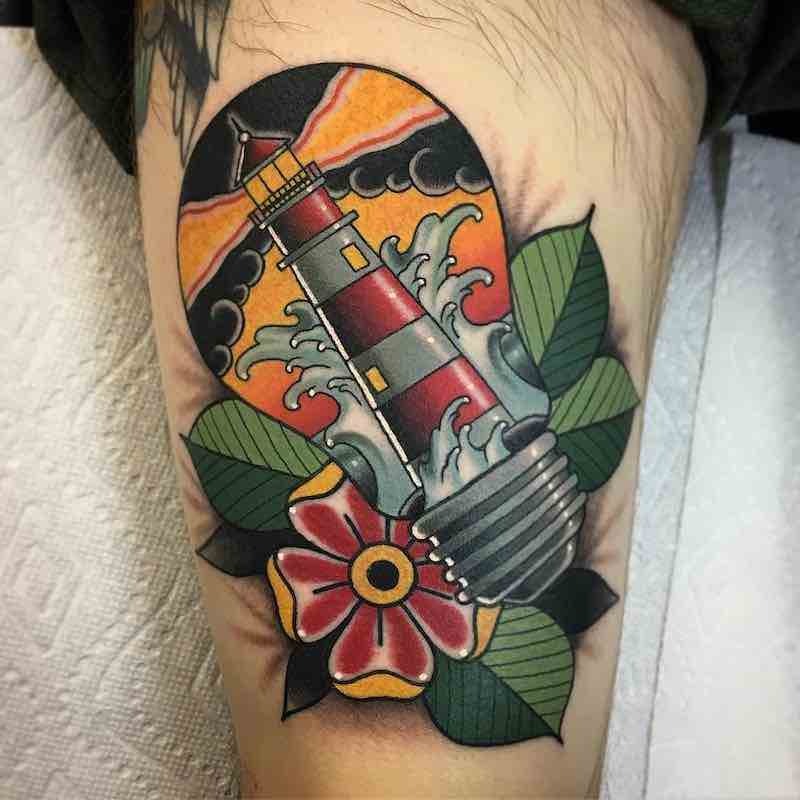 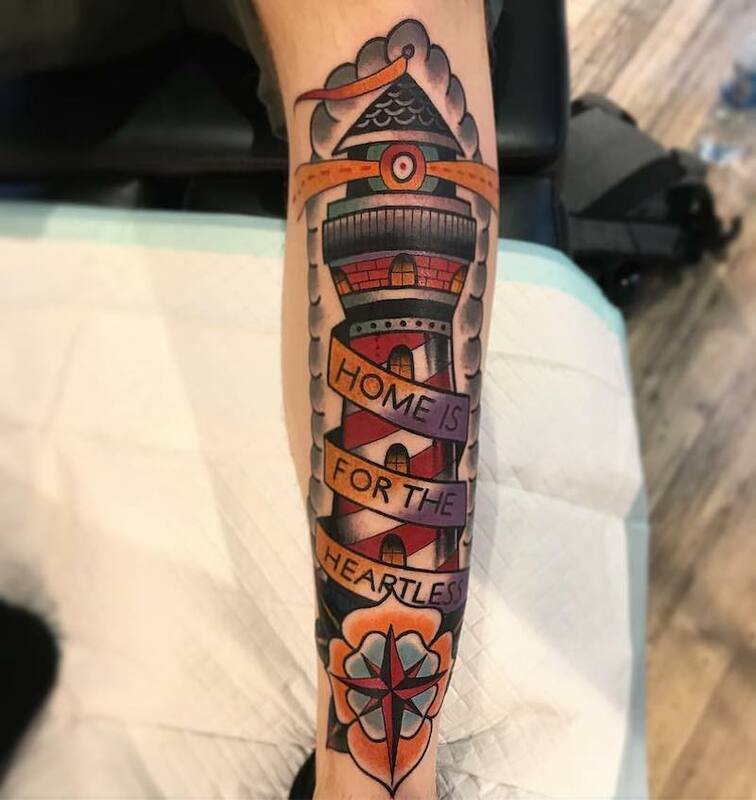 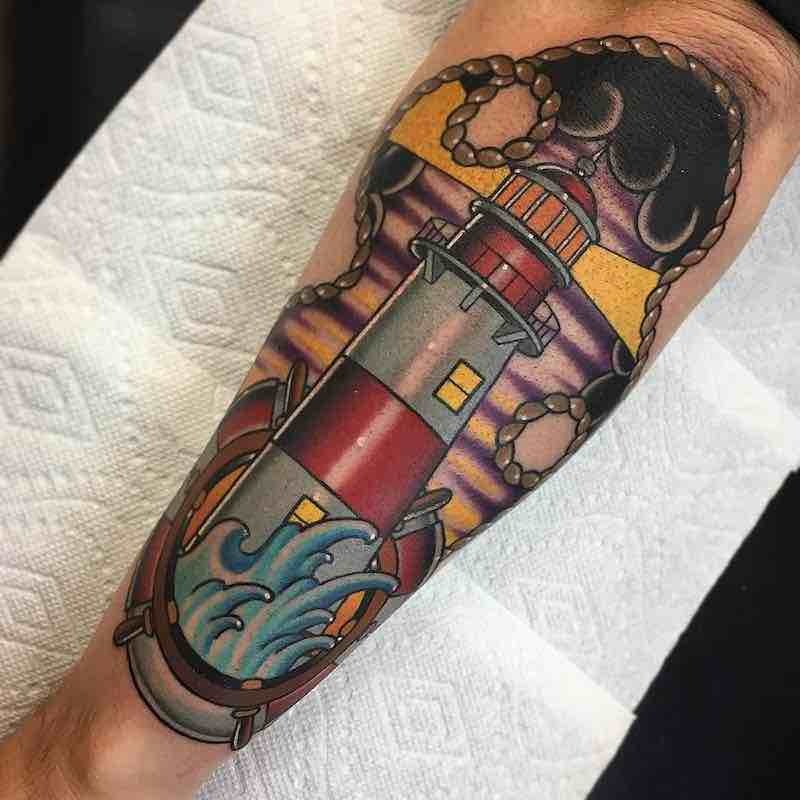 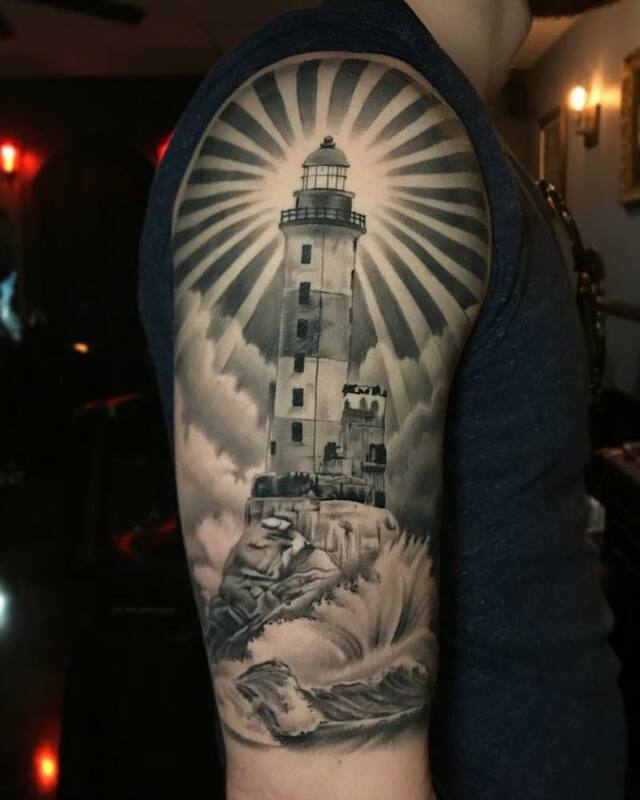 Lighthouse tattoos are a classic and even iconic traditional tattoo design, a popular design amongst sailors that started out as a simple depiction of a lighthouse and has since evolved into countless ways to be tattooed including the classic design made popular years ago. 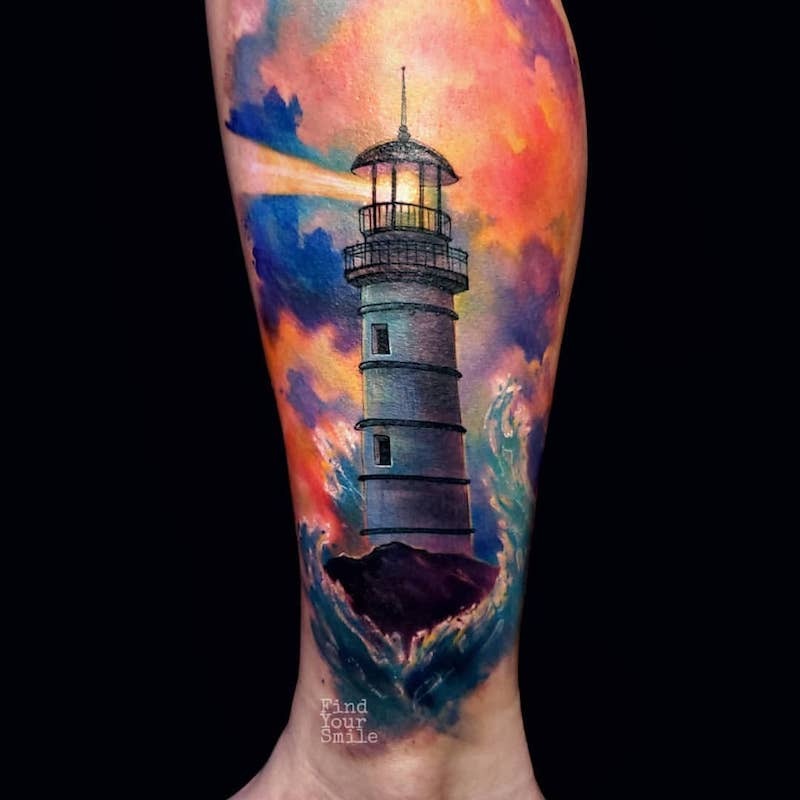 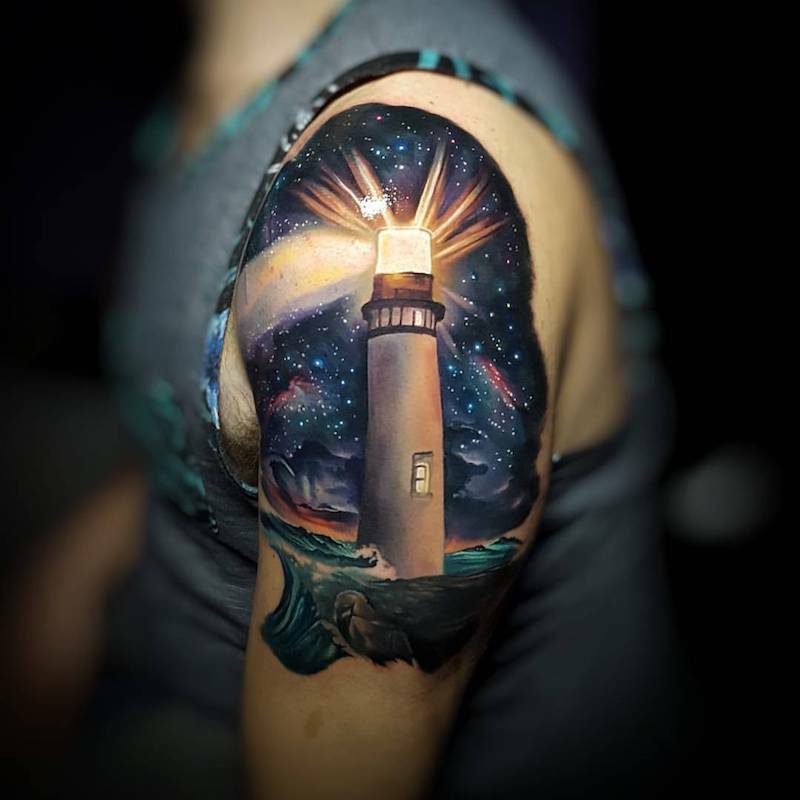 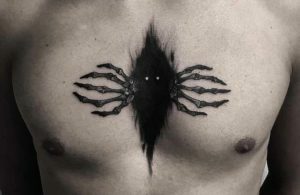 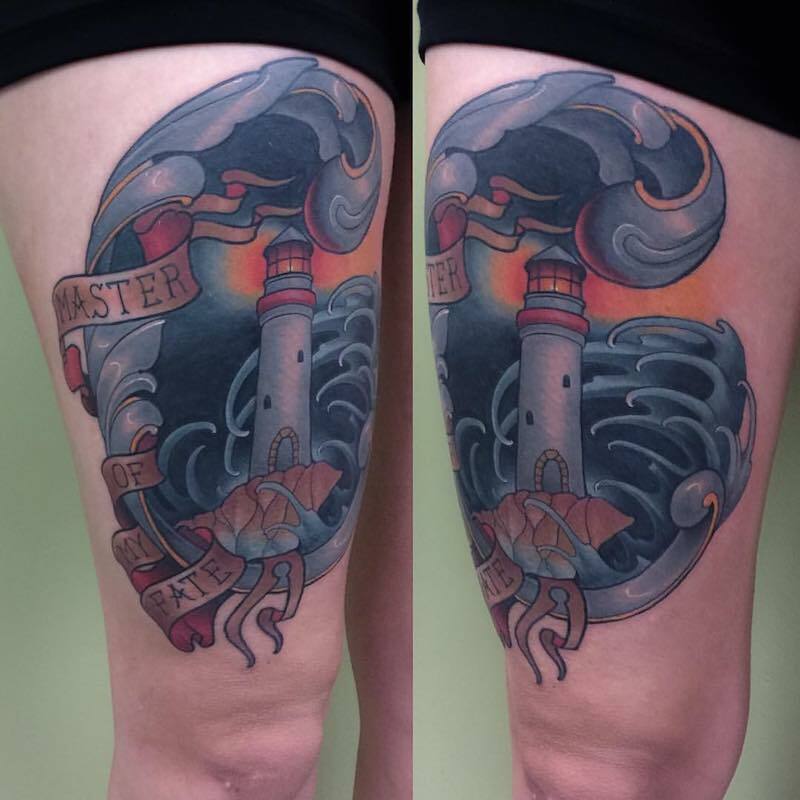 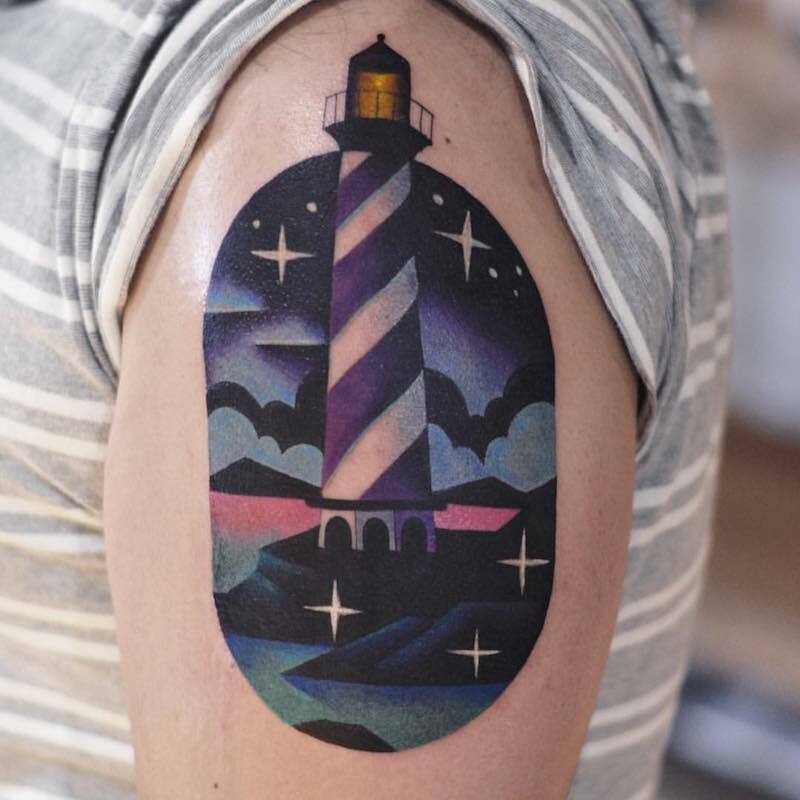 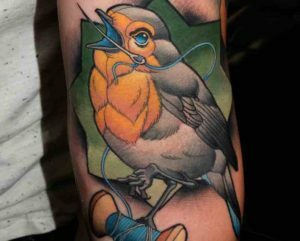 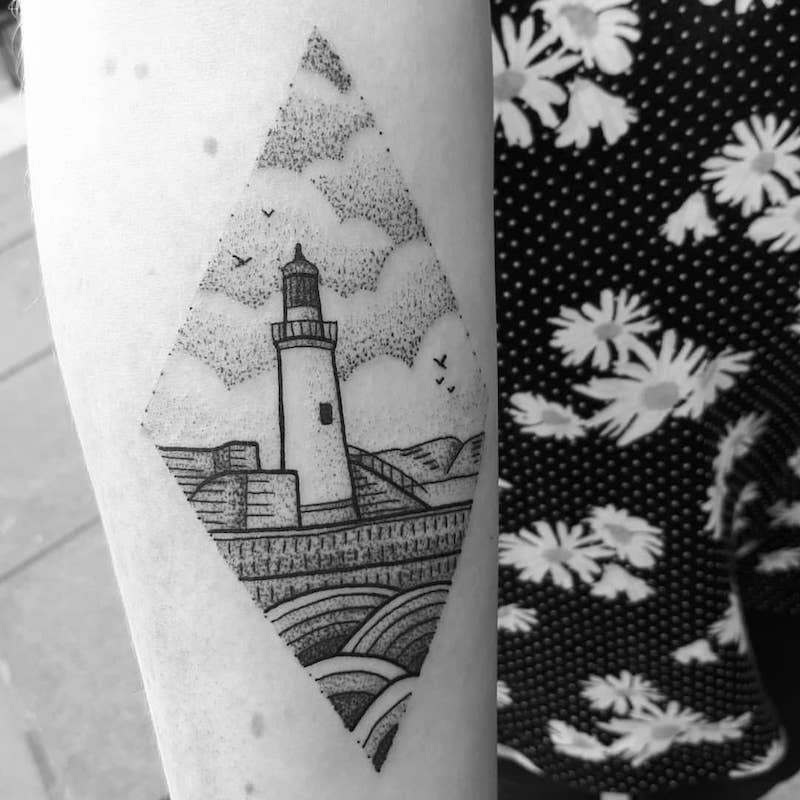 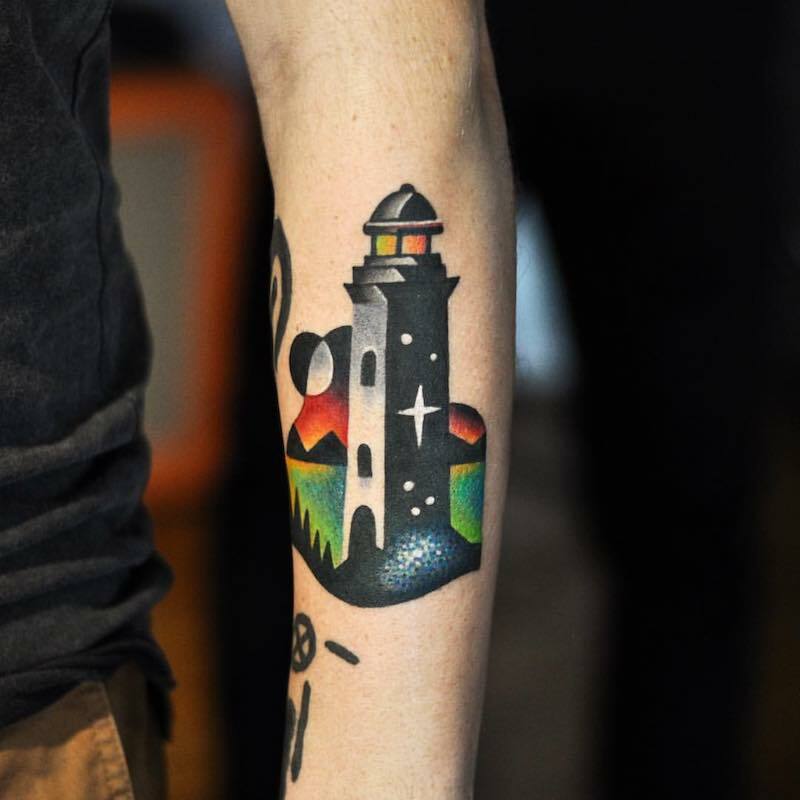 A lighthouse tattoo can represent a way forward. 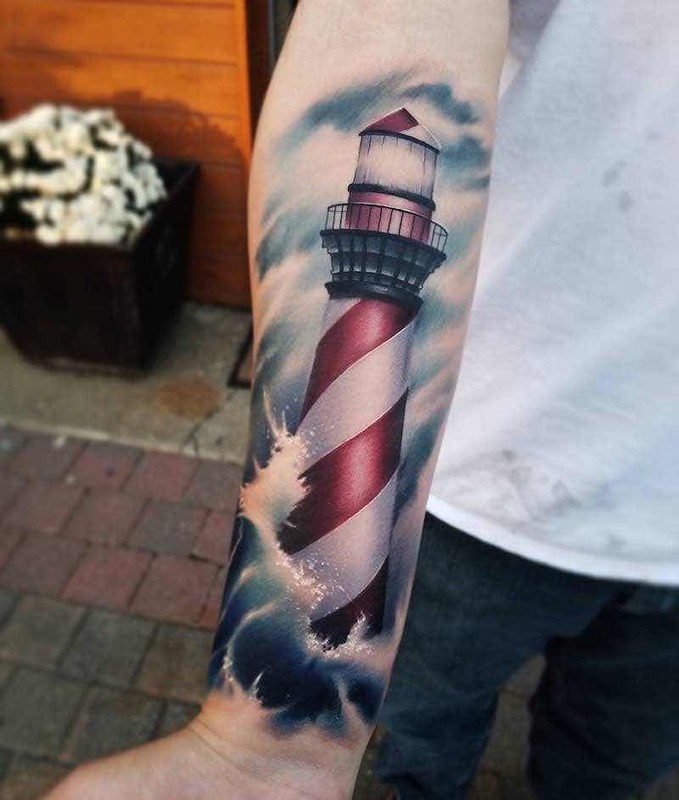 When a sailor would return to a location knowing it had a lighthouse to guide it, the sailor would feel safe and know the cargo and passengers on that ship would be secure, making a lighthouse tattoo symbolism of saftey and security. 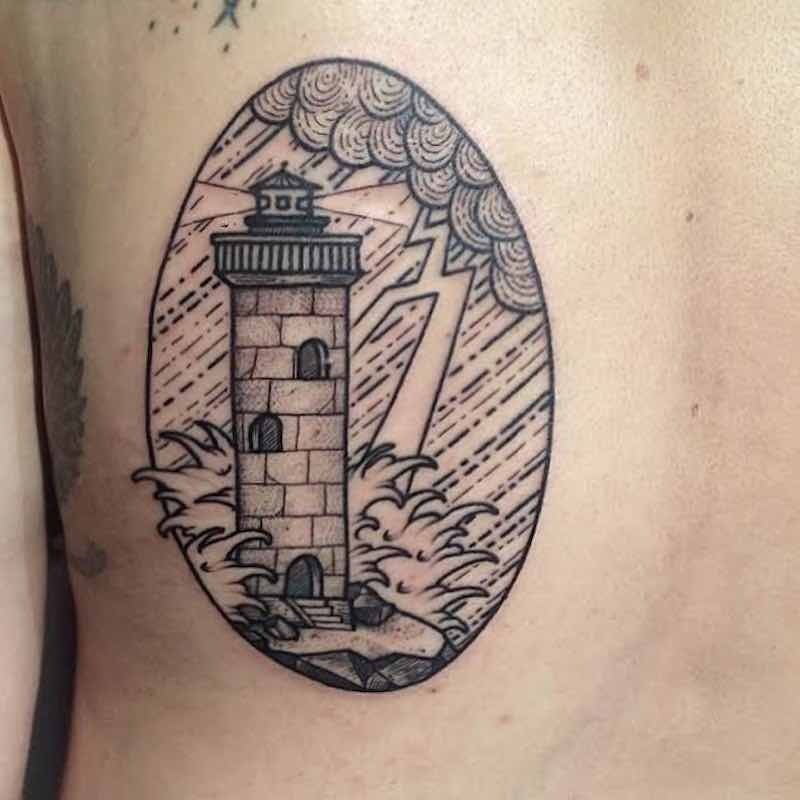 Lighthouses keep ships protected from harm and disaster so are used as symbols to represent protection, wheather its proctection for oneself on another. 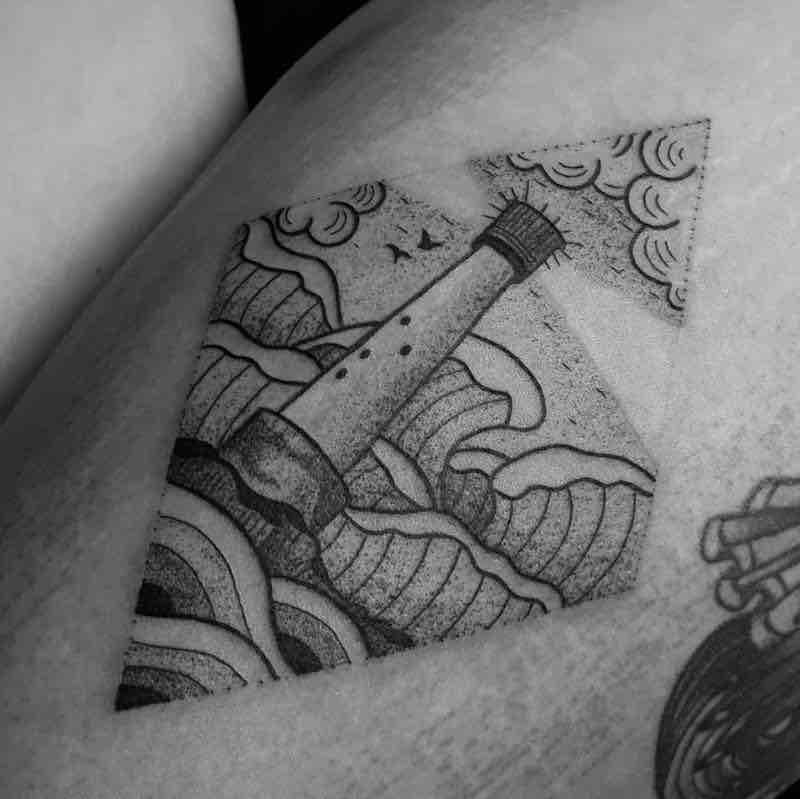 Some get a lighthouse tattoo simply to represent their love of sailing, maritime life or to symbolise the ocean.